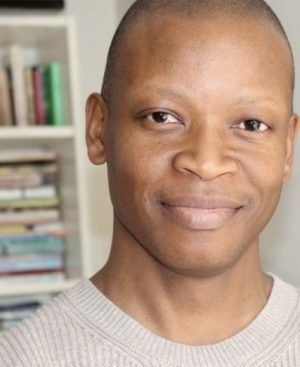 Lawrence Gilliard Jr. joins From the Top as Guest Host for Show 365 airing during the week of March 11, 2019. A trained actor for the stage and screen, as well as a classically-trained clarinetist, Lawrence Gilliard Jr. is most recognized for playing the infamous series regular role of ‘D’Angelo Barksdale’ on HBO’s critically acclaimed series The Wire as well as the series regular role of ‘Bob Stookey’ on AMC’s hit drama The Walking Dead. He also starred on The Beast for A&E and appeared on many hit shows including: CSI: NY, Law & Order, Numb3rs, Friday Night Lights, Southland, Army Wives, Longmire, Graceland, Elementary, and The Good Wife. Lawrence has an extensive history of New York theater credits. His past stage work includes such plays as Zooman And The Sign at Second Stage, Police Boys at Playwrights Horizons, and Life During Wartime at the Nuyorican Poets Café, with regional appearances in Top Dog/Underdog at the Seattle Rep and the Mark Taper Forum in LA. Gilliard has studied at the prestigious Juilliard School (where he was accepted to study clarinet performance before changing his focus to acting), The Stella Adler Conservatory, The American Academy of Dramatic Arts, The Acting Studio, and The Baltimore School for the Arts. Lawrence has also appeared in many films since his breakout performance in the independent film Straight Out Of Brooklyn. Since then, he has appeared in such versatile films as Martin Scorsese’s Gangs Of New York, The Machinist opposite Christian Bale, and The Water Boy opposite Adam Sandler. He is currently starring as a series regular on HBO’s David Simon series The Deuce, opposite James Franco and Maggie Gyllenhaal. 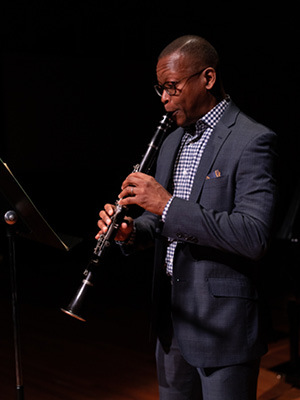 As a clarinetist, Lawrence performed with the Vancouver Symphony Orchestra at its 2018 gala.